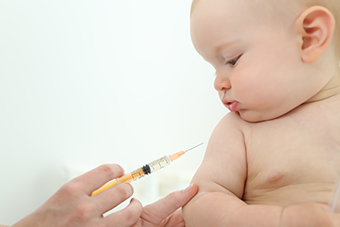 The Australian Technical Advisory Group on Immunisation (ATAGI) Secretariat wishes to advise that a public consultation is now open on proposed changes to infant pneumococcal vaccination recommendations in The Australian Immunisation Handbook (Handbook). The public consultation document can be accessed on Citizen Space via the following link: https://consultations.health.gov.au/ohp-immunisation-branch/infant-pneumococcal-vaccination-schedule-recommend/. To make a submission, please click on the link which reads “Online Survey” where you will be directed to some targeted questions. We welcome your comments and feedback on the proposed changes. This public consultation will remain open until 11.59pm on Monday 2 October 2017. Note: If you are familiar with previous consultation processes on Handbook recommendations, you will notice that the Department is implementing a new approach. Rather than submitting entire chapters for public consultation, it will now only be consulting on relevant recommendations. This approach represents a move towards best practice for updating guidelines, as outlined by the National Health and Medical Research Council. Please don’t hesitate to contact the ATAGI secretariat via email at ATAGI.Secretariat@health.gov.au if you have any questions regarding this consultation.